Have some fun with big-hearted Guido and his best pal Luigi as they wait for the race cars to arrive for a pit stop. Join in the Disney Pixar Cars 3 action with the air hose, fuel can and spare tire, but don’t forget to show the number 95 pit sign if you spot the hotshot race car zooming towards you! 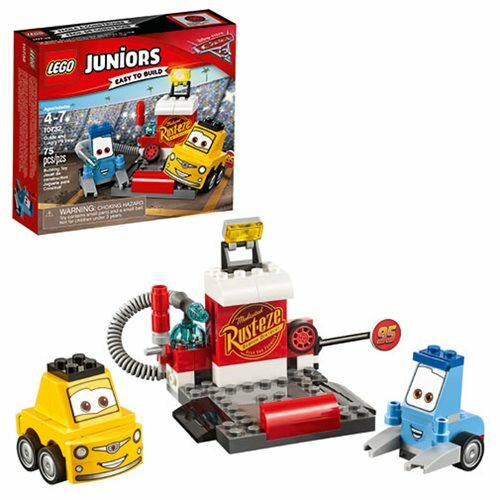 The LEGO Juniors 10732 Guido and Luigi's Pit Stop includes 75 pieces. Ages 4 to 7.